COPrevent: May 15: Measure Up/Pressure Down™ National Day of Action: Roll Up Your Sleeves! May 15: Measure Up/Pressure Down™ National Day of Action: Roll Up Your Sleeves! National High Blood Pressure Education Month, recognized annually in May, is an important observance time for Measure Up/Pressure Down™ and its participating medical groups, health systems, partners, and sponsors to raise awareness, educate, and engage patients across the United States. Educating patients about high blood pressure and the need for control is essential to long-term health. In fact, high blood pressure is one of the most important risk factors for heart disease, stroke, kidney disease, and diabetes complications. Nearly one out of three American adults has high blood pressure. Yet out of these 68 million people, only half have the condition under control. Throughout National High Blood Pressure Education Month, Measure Up/Pressure Down™ will launch patient materials; engage local, regional, and national media; host events with our partner organizations; and participate on social media to continue to raise awareness about high blood pressure. The month will culminate with the first ever Measure Up/Pressure Down™ National Day of Action: Roll Up Your Sleeves! on May 15, 2014. For more information on the National Day of Action initiative and how to get involved, visit the Measure Up/Pressure Down™ website. Measure Up/Pressure Down™ is a part of the American Medical Group Foundation (AMGF) and a partner in the Million Hearts® initiative. 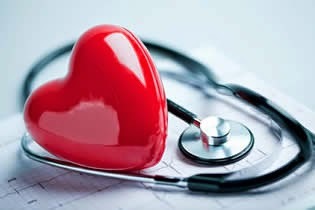 High blood pressure management is a key strategy of the Million Hearts Initiative, an effort to prevent 1 million heart attacks and strokes over five years. Colorado participates in this initiative and you can, too. Be one in a million - make your commitment and pledge today.